While I can well imagine a lot of customers falling for this kind of interior design for the simple lack of an own taste (or mabye because the’ve seen this kind of style in USamerican TV shows), there’s only one thing I can think of when I look at it: KITSCH. Are Aren’t there any Kenyan carpenters? who could produce such furnitures as well? Auwwiiii! That’s not nice, JKE. There are plenty of furniture markers that make lovely stuff using local materials and wood. When I was living in Nairobi, I went to the local market and found some very talented people. The furniture they made i.e. beds and sofas were amazing. The best thing was that the cost was not that expensive. The point that I was trying to highlight is that ppl sometimes prefer to copy styles instead of developing their own. Same applies for Germans in Germany who almost storm any IKEA store to shop for nice Scandinavian interior design styles or at least for getting some ideas on what they could do to make their household look better. I think for Europe it is like: the farther north, the better the interior design is (because of colder weather and ppl spending more time indoors). I think Kikuyu’s point to view is that the our local supermarkets should feature more of locally manufactured goods/products and in this case,locally made furniture. I agree, there is high quality furniture Made in Kenya from Dagoretti corner , Kikomba to Kariobangi.The craftmanship is there BUT some elements of making locally made furniture a lucrative business is lacking thus Nakumatt gaining an upper hand. The Presentation, the Location , Shipping and Handling and of course Advertising is lacking with our local furniture manufacturers. For instance,the Kenya furniture makers own a mom-pop kind of an operation where OH (Overhead) is limited thus cannot afford print or online ads like the Mega Nakumatt and make themselves known. Instead, they rely on word of mouth for their advertisement. I’m not sold on the idea that Nakumatt is an arbiter of taste. ALmost everyone I know has their furniture made by local fundis; last I heard, a former schoolmate was supplying a lot of furniture to cohorts. I’m with you, though: that furniture is UGLY! That stuff is ugly something serious. The stuff you can get from the local fundis is much much better. There are guys along Ngong Road near Race Course who do fantastic work but they are getting wise and charging more and more for the stuff the make. I think it is still worth it though. It has been my experience that there are only two types of furniture to be had in North America – self assembly stuff that you get in boxes for about $200 for almost anything vs. good quality solid wood in good finishes starting from about $1500 to 2000 for larger pieces like cabinets. Basically, you have a choice between great and kitsch, nothing in between. I like using local tailors myself but when i go for the certain suit it is not ready so why would nt just walk to the exhibition and walk out with a ready made suit. And sometimes there is always something wrong somewhere. My pal got a fundi to make her seats and one of the cushions my God. But all said and done along Mombasa Road there are very nice fundis and their prices are reasonable. Argh, it’s just terrible! You are very right! I wish there would be fundis in Gamany, I mean kenyan ones: affordable, capable and nice. Look for a carpenter next door and tell him exactly what you want, you’ll get it nice and in time but damn expensive. I think a problem for the local carpenters might be to work on the assembly line. 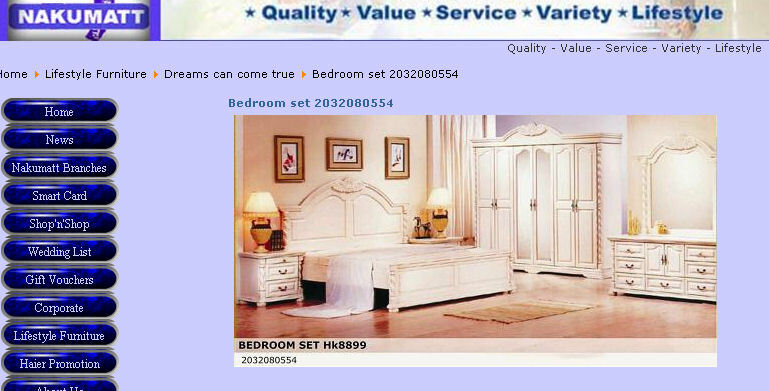 Imagine 20 people ordering the very bedroom at the same time, there might be some problems. By the way for how much does it go? Myself, I agreed with my grandma, so that I will get my grand-grandmothers bedroom as soon as I shift to a nice flat or house. It’s very old and I just like it and it tells so many stories. I just wonder how the transport to Kenya will work out, but we shall see. I am a Kenya, I did my O-level in 2003 where I attained a mean grade of C-. I then joined Computer studies College where I did certificate Packages in Ms Word, Excell, Access, Powerpoint. I then joined another college IS for certicate in graphic and design in Computers (PhotoShops, CorelDraw and PageMaker). bI failled to finish upto the diploma level due to lack of finance. I am requesting you to allow me as one of your employees in any vacant position where I will fit in like, as a customer service or in computer part maybe in recording gooods in the stock, income and expenditure. Thank you in advance as I humbly wait for your favourable consideration. I am staying in Kawangware, Nairobi. pls direct your job applications in written form to the MD of Nakumatt. Their address is available for your information at the information desk at each Nakumatt branch. The only good thing about Nakumatt is that they have employed very many people. Otherwise unfair trade practices are what has left the economy in its present sad state. They have an opportunity to promote Kenyan entrepreneurs by stocking their merchandise. Hope they get the hint. I would like to buy Household from you peolpe. What is the process of recruiting people in your organization. John, did you mean Kikuyumoja Inc. or Nakumatt Holdings Ltd.? i hate that furniture too. it shows lack of originality for everyone who buys it. if God wanted us to be the same we would all look alike and that goes for furniture too. come on people! everyone has a creative side and they should exercise it by maiking furniture that is absolutely unique. that way we will be able to admire it and appreciate its beauty. make use of the local fundis who by the way make lovely furniture and cater for all budgets and promote kenya’s economy. NAJIVUNIA KUWA MKENYA AU NAVUMILIA KUWA MKENYA? I Wld like to know how Nakumatt Holdings recruit employees.The whole process i mean. Wish to be one of your staff member.So am apply employment in your campany.I wish Nakumatt long service to Kenyans. Dudes, please. IF you can’t even figure out the difference between a private blog with a rant on Nakumatt and Nakumatt’s official website – THEN you should really reconsider your application for a job that requires some mental abilities. How can I get a job in Nakumatt Holdings?. I’m a computer enthusiast. Now I’m asking, can I get a used computer from Nakumatt holdings IT guy please if he doesn’t mind. Av bin applyng 4 jobo at ur company.i dnt wat shuld i do so that i can knw tha right procdure.my greatest wish is 2 work in ur company.ur company is da bomb. LMAO @Jke – recruiting officer,Nakumatt holdings! I have just completed college where i was previously undertaking diploma in purchasing and supplies management. I love Nakumatt since its the only Indian firm which promotes the economy of our country kenya. Lets all kenyans appreciate the goods found in Nakumatt coz our experts kebs have acqually made iso for these stakeholders,Congrats Nakumatt management,plizalso pity me get a job in your place . profesionaly am CIPS holder,Adiploma gratuate from kim in purchasing &supplies management. Am applying for a job vacancy in your ever growing chain of supermarkets.Am ready to appear for interviews as deemed necessary. I would like to be one of your employees in Nairobi,i would like to serve pple the way your most welcoming workers of yours, keep it up!